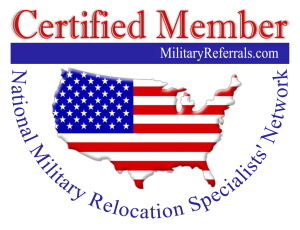 This Logo IS THE PROPERTY OF MILITARYREFERRALS.COM. 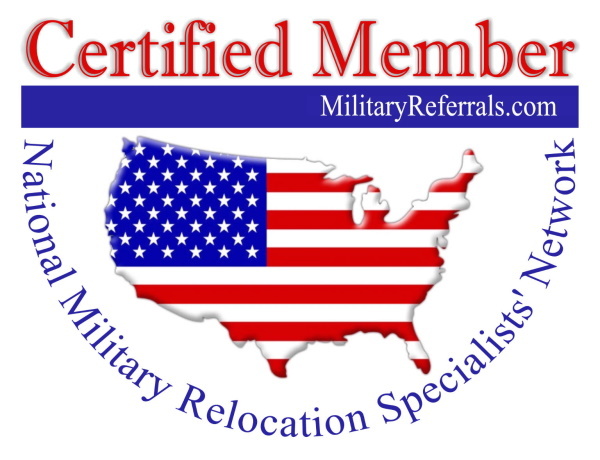 With your active Membership (dues are current) we grant you a license to use it, without any alterations, on any of your marketing materials or online personal pages, websites, apps, etc. as appropriate for professional business purposes. The logos are different sizes. Use the largest for printing to get the best resolution. The smaller sizes can be used on websites or social pages. To save to your computer simply right click the image and select "save image" from the drop-down box. You may use the code from each logo by copying it - EXACTLY- and pasting it in the code view of your site, or give it to your webmaster to embed. Your professional printer or webmaster may have additional instructions and you may have them email us directly with special needs. <img alt="MilitaryReferrals.com Logo - 600px" class="style43" height="460"
<img alt="MilitaryReferrals.com logo - 300 px" class="style43" height="230"
<img alt="MilitaryReferrals.com logo - 200 px" class="style43" height="153"